Inspired by the architecture and colors of Marrakesh, this scarf adds exotic flair to any ensemble. The light and cozy design of this 78” scarf will take you from the first crisp nights of fall, well into spring. It’s a quick project that is uniquely satisfying. This pattern includes large pictures to go along with the detailed instructions as well as a link to a short video demonstrating one specialty stitch. This purchase is for the Marrakesh Scarf pattern only. It does not come with the scarf pictured here. This pattern is copyrighted and for your personal use only. 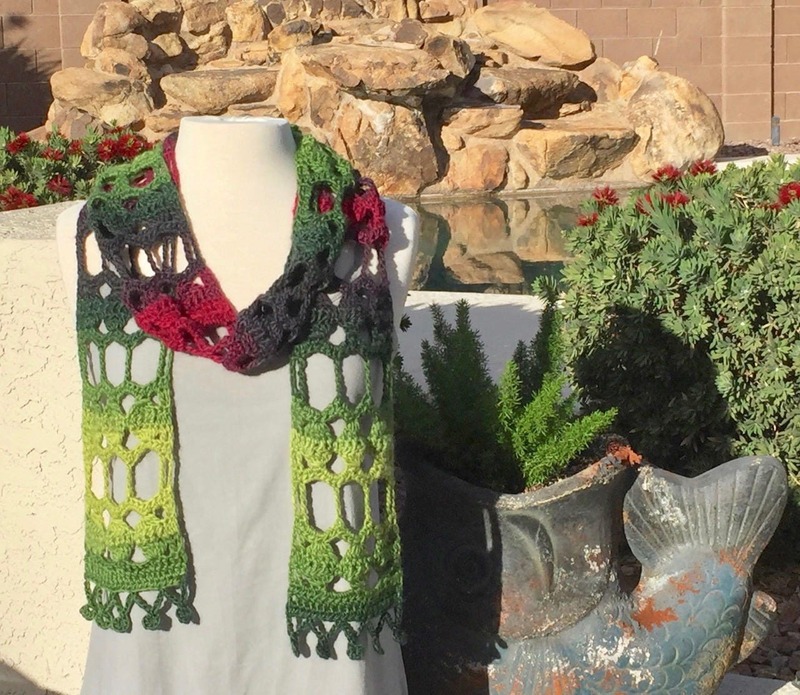 The scarf may be made and given as a gift, but the pattern may not be reproduced for use by others. Please note that this pattern is written in English using US crochet terms. 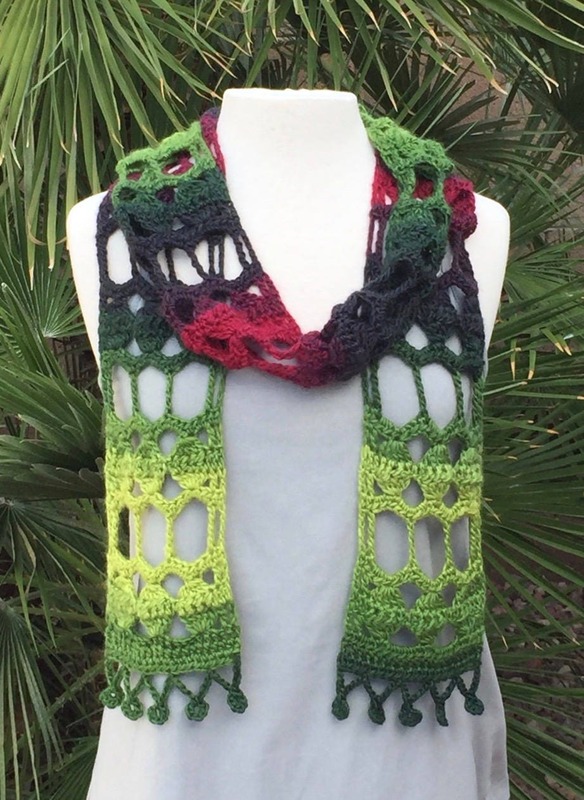 I hope you enjoy making the Marrakesh Scarf!